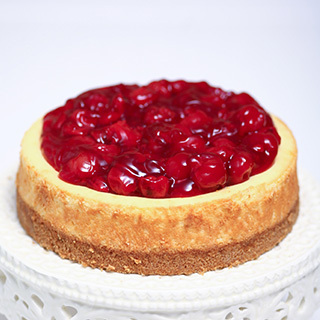 Creamy and rich New York style cheesecake with graham crust, either plain or with your choice of topping. Apples and walnuts baked into our New York Style cheesecake, graham crust, topped with more apples and walnuts and finished with Phipps caramel sauce. 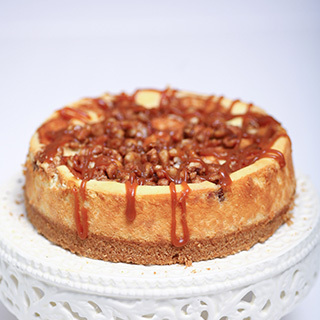 Phipps luscious caramel swirled into this rich cheesecake on a graham crust. 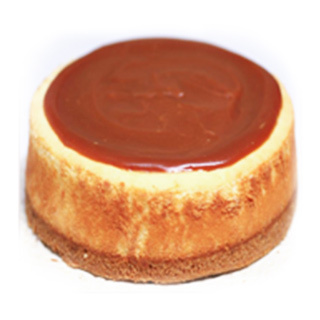 A pool of Phipps Caramel smothers the top. 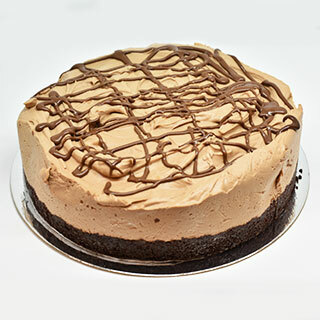 Smooth unbaked light chocolate cheesecake on a bed of dark chocolate cake crumbs, drizzles with Belgian chocolate ganache.